Continental has released its VDO 2012 TPMS Replacements Part Program catalog and launched an online quiz to help aftermarket distributors, tire dealers and service providers test their knowledge about TPMS. 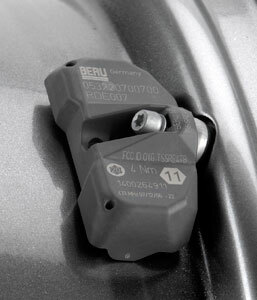 The VDO TPMS Replacement Parts Program has been expanded with additional coverage of OE sensors, service kits, and also includes stainless-steel wheel bands for valveless sensors. The 2012 Catalog includes an application section for tire pressure sensors, an illustrated buyer’s guide with individual listings for OE sensor assemblies, REDI-Sensor multi-application sensors, service kits, and wheel bands. It includes application details, photos, torque-specifications, contact info, installation tips, service kit guide, make/model index, OE cross reference, REDI-Sensor cross reference, and REDI-Sensor producti info. Product information and the new TPMS quiz are posted on the VDO REDI-Sensor website. “This quiz is a fun way to make sure that our aftermarket parts and service community is up to speed on some basic TPMS knowledge. 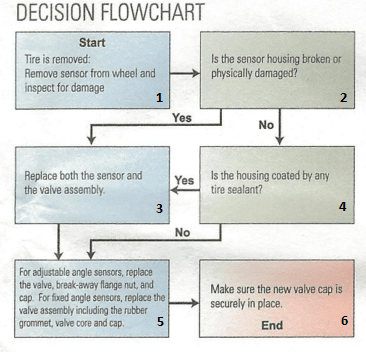 As more and more TPMS-equipped vehicles come in for service, the need to know more about the systems and their service requirements is vital from both a maintenance and profitability standpoint,” said Steve Landis, VDO TPMS product manager.